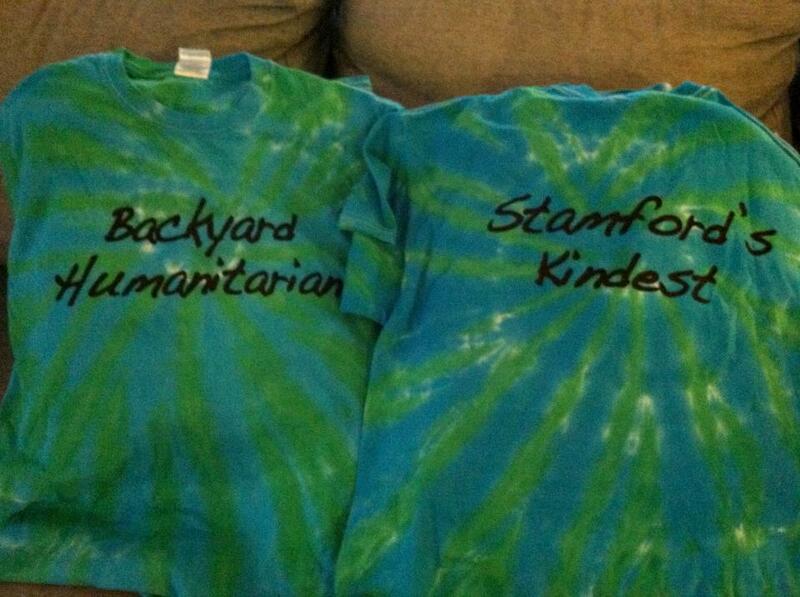 Backyard Humanitarian Tie Dyed Tshirts available for a $25 donation. 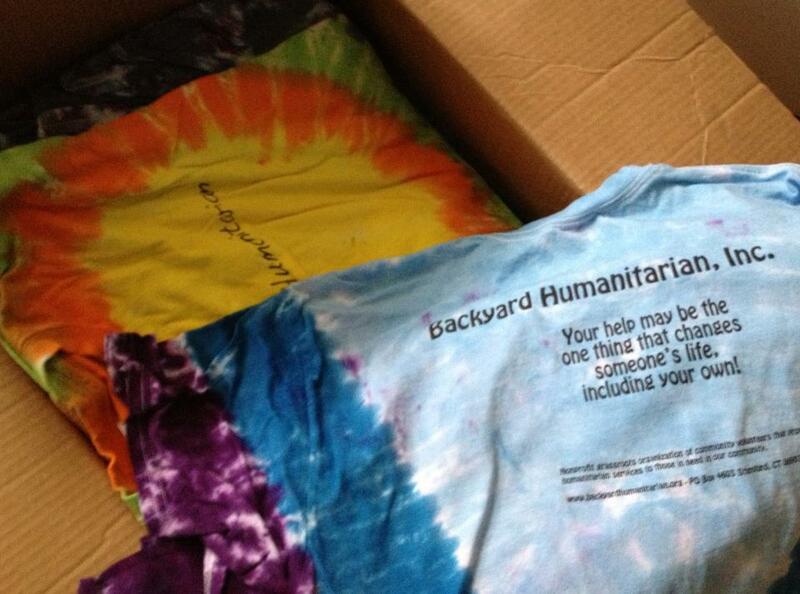 Email volunteer@backyardhumanitarian to get yours! 2 beautiful & cool styles to choose from. Special Thank You to Jami Sherwood & Dr. Nero, Hands For Life Stamford and Dan Chapman! AFTER DISASTER, ILLNESS OR TRAGEDY - Helping specific families directly in our community who have been through a disaster such as a fire or flood, medical emergency, illness or death in the family and have lost everything. We help by having collection drives for needed items, fundraising events and emotional support. FIGHT HOMELESSNESS - Homelessness is a complicated issue. Searching for a home can involve lots of paperwork and phone calls. We assist with this administration and help people to find long term housing. Sheltering/hotel accommodations for 2 days, homeless woman in freezing cold temperatures, Stamford, CT Winter 2013. Soup kitchen - monthly soup kitchen meals. Holiday gift giving - homeless families and people in need.